Add white cardamom with vermicelli and brown it. Then add milk with sliced dry dates, cook for 5 minutes. When dates turn into soft; add sugar, khoya, almonds, pistachios and saffron. Cook for 5 minutes more. 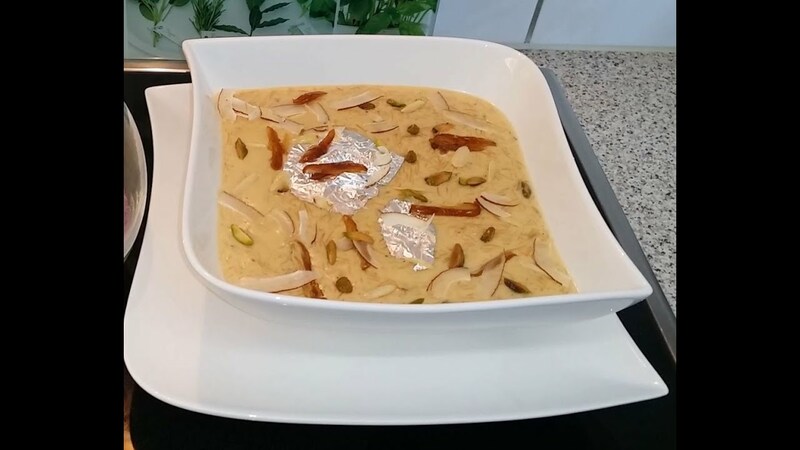 Royal sheer khurma is ready serve hot or cold.